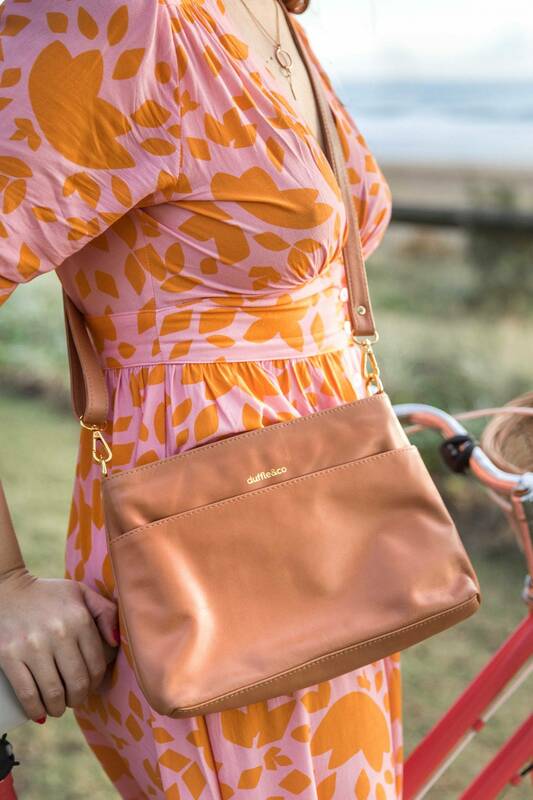 New Zealand ethical handbag brand Duffle & Co. has just unveiled their latest collection, and it’s all kinds of gorgeous. The Duffle & Co. story began in 2015 with 100 bags, founded on the principles of transparency, supporting communities and nurturing the art of craftmanship. The collection includes beautifully crafted leather pieces such as the Rose Crossbody (right) pouches made from vegan-friendly Piñatex, and cotton canvas duffle bags, perfect for travel. "We believe you should be able to buy remarkable products that look good and do good too." From a fulfillment “center” underneath co-founder Danny’s bed, followed by his laundry, then a friends garage, the B.Corp Certified company has since grown to become a thriving business working with a small workshop in Bali run by a family run micro business, which through Duffle & Co.’s support now employs twenty craftsmen and their families. Duffle & Co. are all about making a difference with every purchase so they have partnered with the Eden Project, a reforestation project. With each bag sold they plant ten mangrove trees in Indonesia to help with local biodiversity. With a mantra of ‘buy-less-choose-well,’ Duffle & Co. are very much aware of the impact overconsumption in the fashion industry is having on the planet. So they create well-made bags designed as capsule collections, minimal on the outside but functional on the inside. Intended to be worn and loved for a lifetime. They don’t use mass production lines, each piece is carefully handcrafted, and every stitch checked to ensure durability and longevity. To invest in your own Duffle & Co. piece, shop the collection here. The beautiful Rose Crossbody could be yours. Head over to this Instagram post to enter!